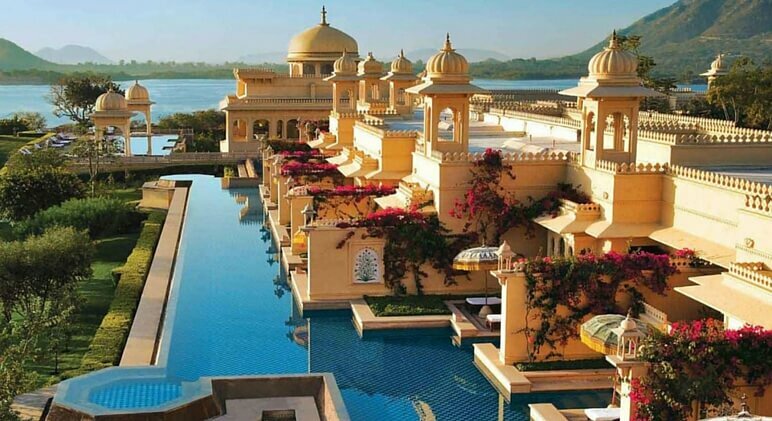 Grab your goggles because we’re taking a dip in some of the best swimming pools around the world! 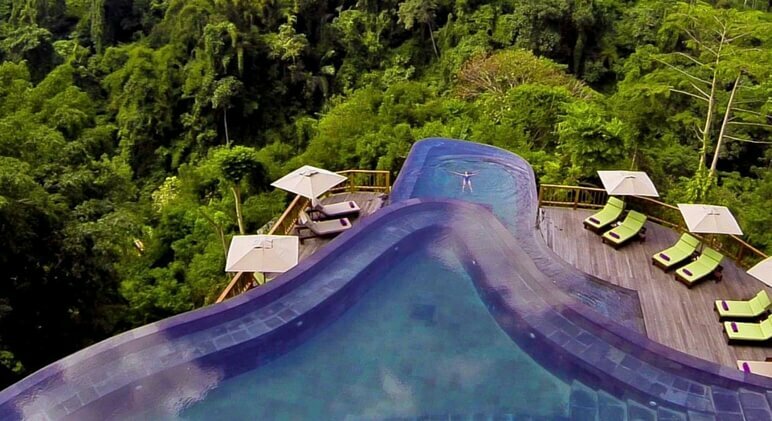 This famous pool features a dual-layered infinity pool with a great view of the surrounding jungle. 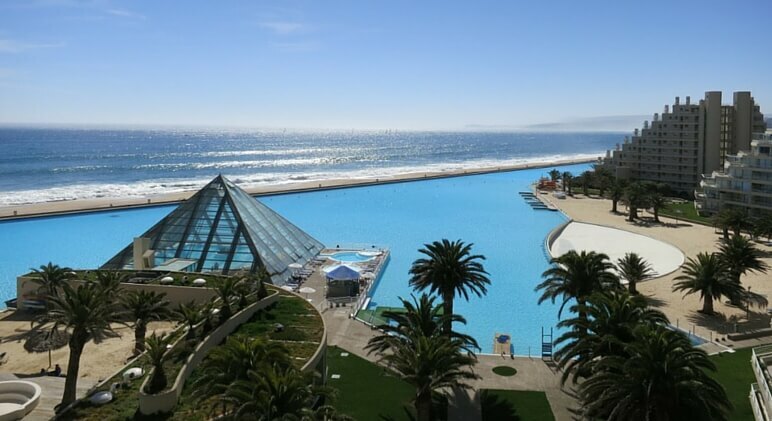 Check out the unique glass lap pool featured in the middle of a larger pool. Guests can access this impressive pool right from their private room! 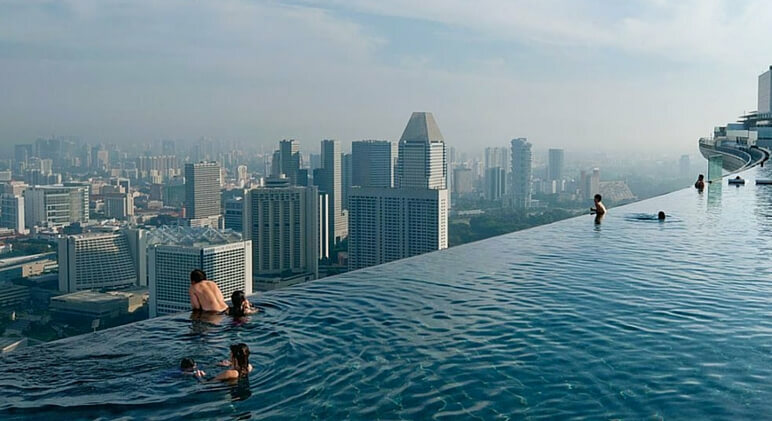 This is a stunning infinity pool that sits on top of three mega–skyscrapers, 57 floors above the ground. Along with being high up, it’s longer than the Eiffel Tower. 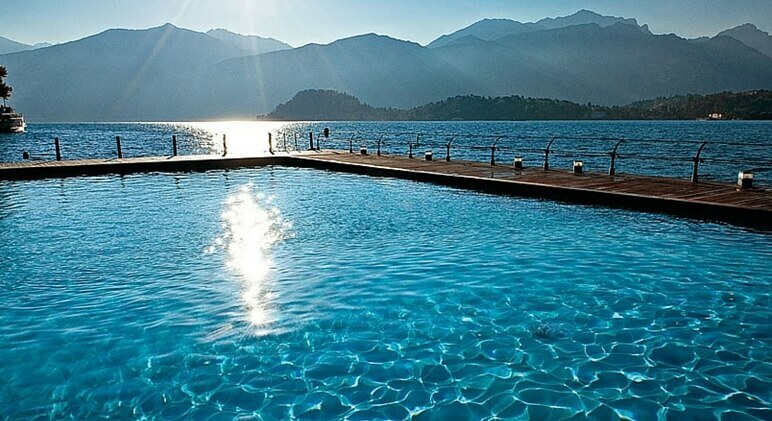 This stunning pool floats on a lake. 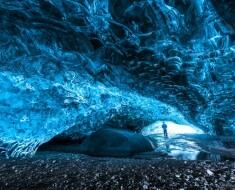 It doesn’t get much more serene than this! 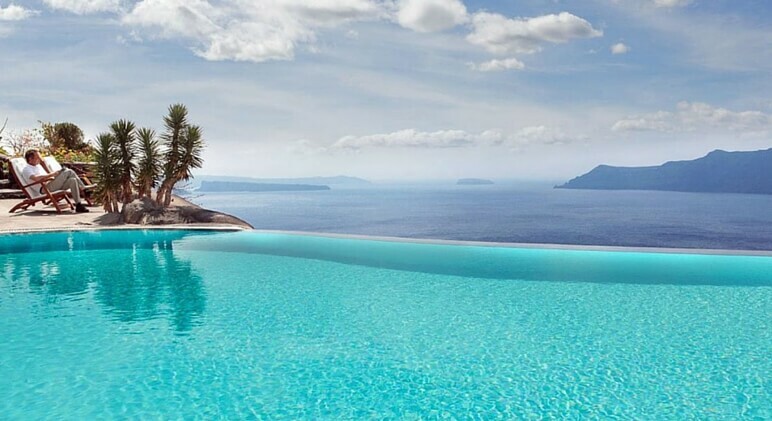 The water in this infinity pools looks like it’s pouring right into the Mediterranean. 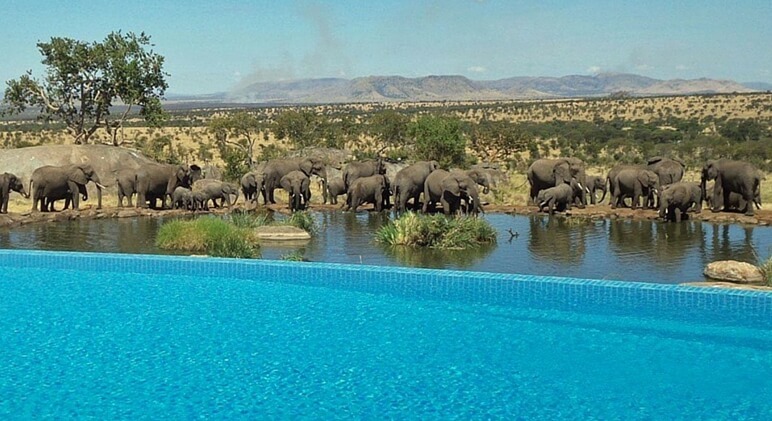 Built right next to a watering hole, hotel guests can take a dip in the pool while watching elephants drink! 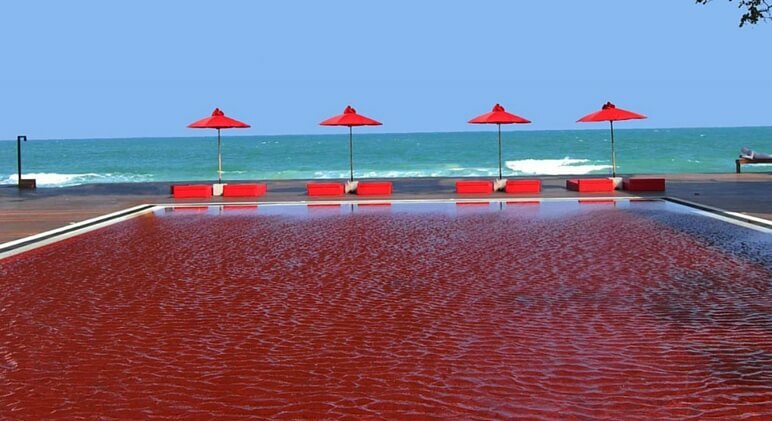 Designed using red tiles, the water in this pool is given a unique red appearance. 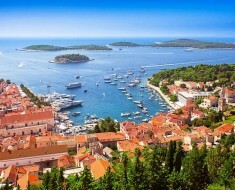 It also offers an amazing view! 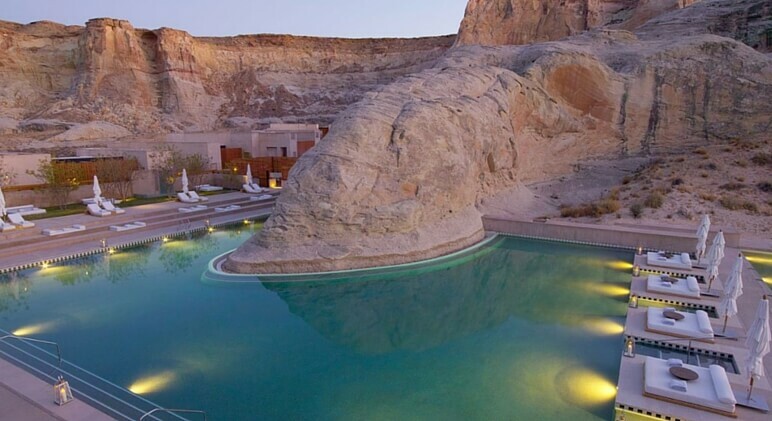 We bet you’ve never gone swimming in a pool that’s built around a canyon! This weathered sandstone is 150-million-years-old. 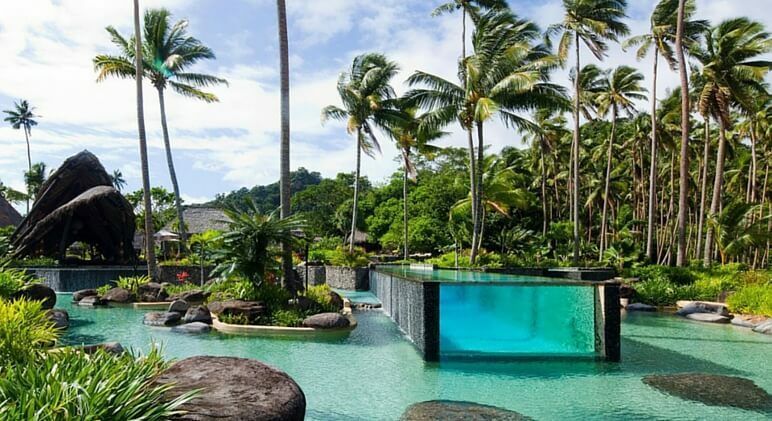 This beautiful pool features a small freshwater pool surrounded by a larger saltwater pool. 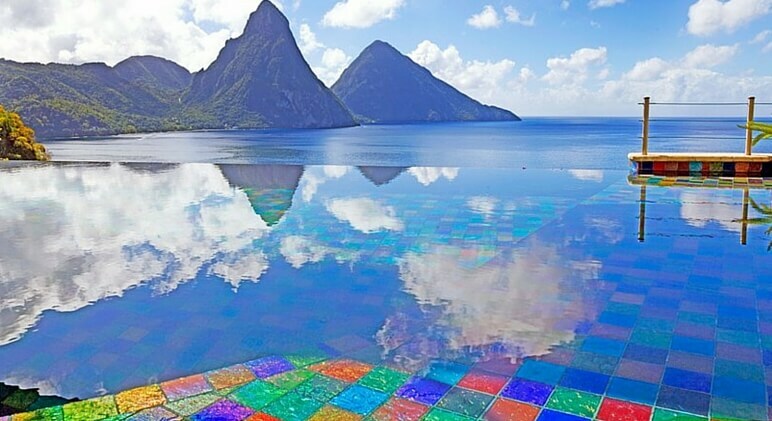 There are 24 unique infinity pools at Jade Mountain St. Lucia. 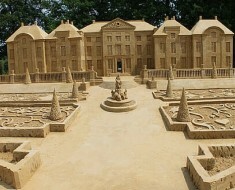 Each one is carefully designed with unique artwork. 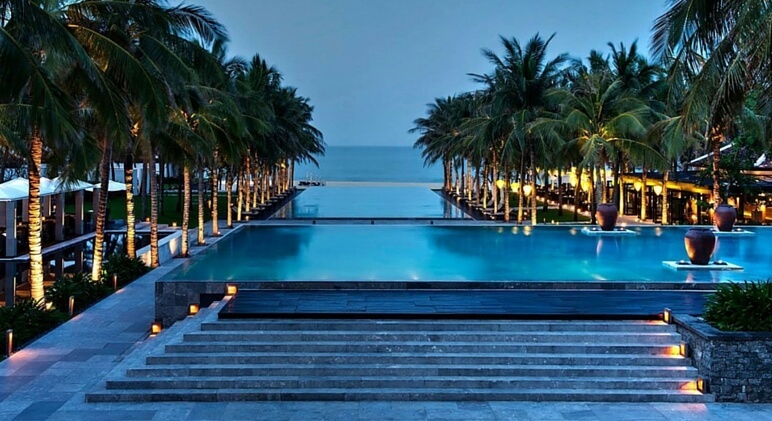 This pool is so large that guests can even navigate through the water in small boats. 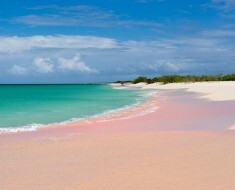 When you’re done swimming in this breathtaking pool just take a few steps and you’ll find yourself on the beach! 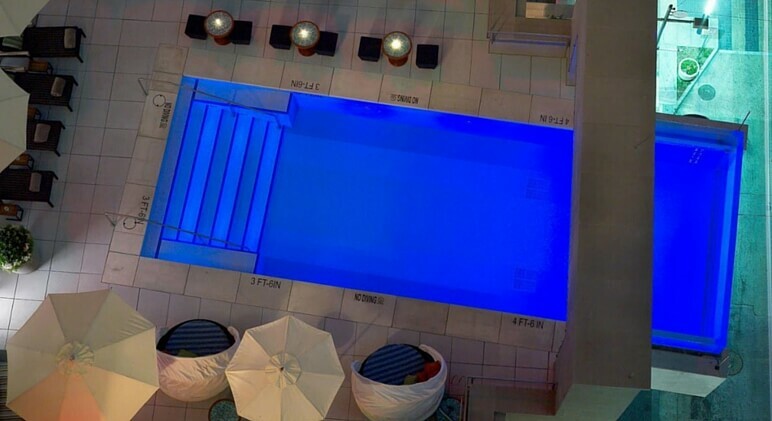 This hotel pool extends 8-feet out from the building, giving guests an amazing view of the city’s skyline. 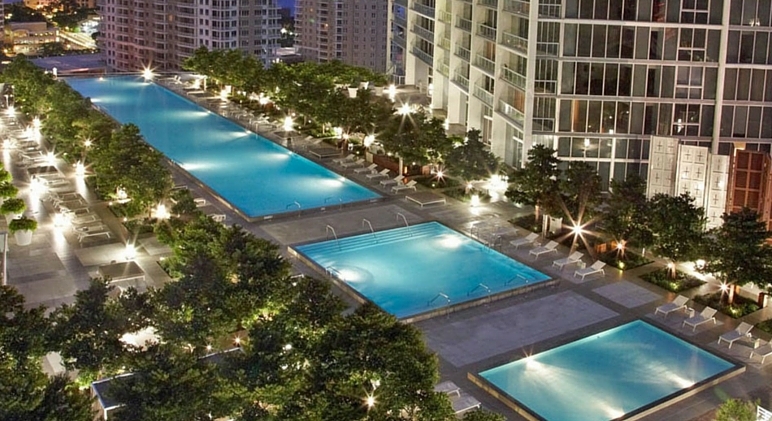 On the hotel’s 15th floor you’ll find a two-acre pool deck. 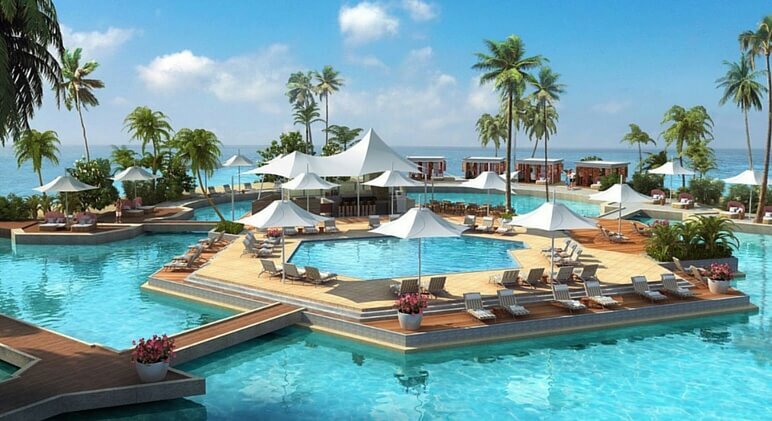 It features three types of pools: an 80-person hot tub, a wading pool, and a football-field-size swimming pool.